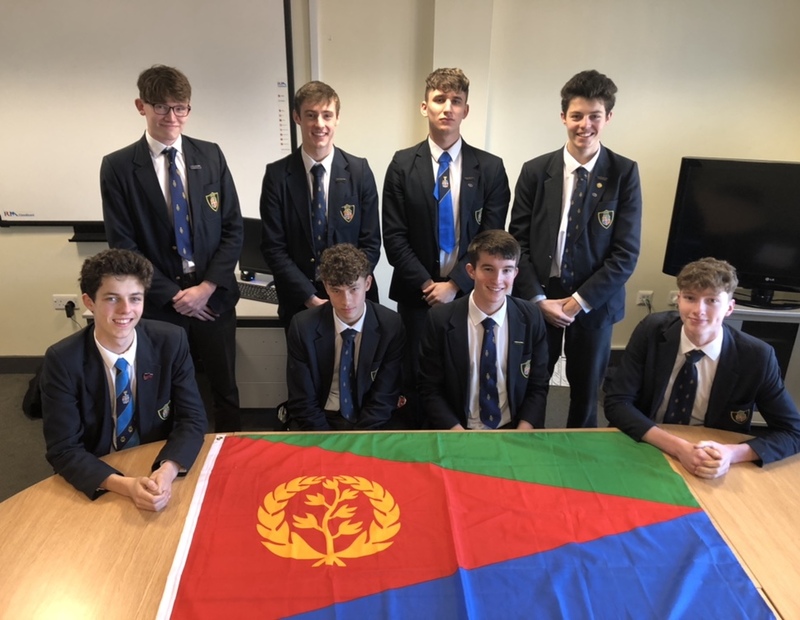 FOUNDED back in December by three upper sixth form students with a passion for flags, the Vexillology Society was an instant hit. Students across the year have taken the challenge to join this competitive society, which demands a score of 80% in its exacting selection test. So far, 12 people have passed and been granted membership. How this craze came about remains a mystery. Mr Griggs, form tutor of U6B, where five students are members, has often been asked what he did to make his students so gripped by flags around the world: “I have nothing to do with it I swear. It’s their obsession not mine,” he says. With a combined passion for all things flags, members enjoy presenting each other with discussions, presentations and sometimes debates about their favourite and least favourite flags. Flag quizzes are a key aspect of the society, but only historical flag quizzes: “Obviously current flags are too easy,” says Alex Edwards. With quizzes featuring the historical flags of Mongolia, Lausanne, Belgium, Bhutan and many more - literally pages more - some members have been spotted revising for upcoming flag quizzes in their free periods. This is not just your ordinary sixth form society. The flag fascination has become an aspect of daily life with stories including a secret-Santa gift of a coveted favourite flag for one of our Vexillilogy members. They do say happiness comes in all shapes and sizes - perhaps in all colours too. Flag recognition is only the start for Vexillology society however. Members also study the development and changes to flags and external influences that could shape those changes. A gripping game of ‘spot when the Soviets invaded Afghanistan’ gave enthusiast James Wiseman the pride of spotting the tell-tale red that indicated Soviet influence. A triumph amongst flag enthusiasts I'm sure. Having spoken to other members I was enlightened about the recent drama of the flag referendum in New Zealand with three new alternatives contesting for the place of New Zealand’s national flag. “Ah but they didn’t want any new flags - It’s a good job anyway, those alternatives could never contest the longstanding current one,” says Harry Edwards. With opinions running high when it comes to ‘good’ or ‘bad’ flags, the agreed least favourite flag was decided to be Nepal for its lack of rectangularity as the world’s only non-quadrilateral flag. “Clearly a huge flaw in the design,” says James. Don’t be intimidated by the competitive nature of the society though, if you want to join the Vexillology Society and haven’t completed the test, rumour has it the society is undertaking an outreach programme for those disadvantaged students who don’t know much about flags…yet. The group, which contains both boys and girls, are seeking new members from the lower sixth to get involved with the flag mania. So, come along and experience all things flags every Wednesday in the downstairs study room during society time.